My favorite is "The Barefoot Girl" because it amazes me that he was only 14 when he painted the picture. My least favorite would be the last several portraits because a sense of distortion rises when I look at them. I don't like Picasso's Blue Period paintings because they feel too dark and sad and I like his barefoot girl because he was so young when he made it and it is one of the few realist paintings they showed. My favorite painting is the one with a child in white suite in it. Picasso did well in showing figure's characteristic by describing child's standing posture.The one that describes a women's body is my lest favorite. the color is dull and depressive. My favorite painting is "Night Sky," which is shown in the second video. I enjoy this painting because it is very detailed and precise. My least favorite painting is the one that is a simply black lines that are supposed to look like a person. I dislike this one because it is plain. My favorite is the Barefoot Girl because it was so intricately detailed for a painting by a fourteen year old. My least favorite were the distortion pictures because I'm not sure what they're supposed to mean or symbolize. It all looks like a bunch of weird shapes to me. My least favorite paintings were the distortion paintings because they were hard to interpret. My favorite was the Barefoot Girl because it illustrates his talent at such a young age. My favorite painting was "The Barefoot Girl" because it shows his talent at only the age of 14. I didn't like any of the distortion paintings because they are hard to understand what he is trying to express. My favorite painting is the "Night Sky" from the second video. The reason this painting is my favorite is because of how explicit the contents are. I think that it is interesting how much detail he could capture as only a 14 year old and how realistic his paintings looked and how as he got older, his paintings become more distorted and abstract. The Barefoot Girl looked so realistic and it is amazing because he was at such a young age when he did it. 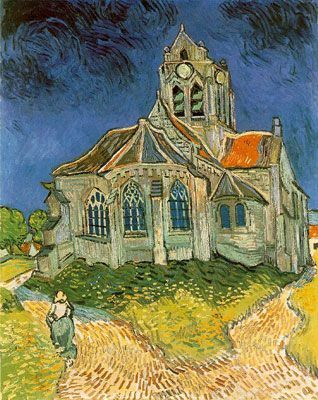 His other paintings were quite the opposite and I think it is interesting how much is art evolved throughout his life. I didn't realize how young Picasso was when he began painting, and The Barefoot Girl was an amazing painting for a fourteen year old. That much talent at such a young age is incredible. My favorite painting is the Barefoot Girl by Picasso because he was only 14 when he painted it and it shows how talented he was at such a young age. Its crazy how Picasso painted the Barefoot Girl at the age of 14 and it looked so good. All his painting kind of relate if you look at them good. The Barefoot Girl by Picasso is really interesting and amazing. I wonder what made him paint it at such a young age. My favorite is the Barefoot Girl by Picasso because of its realistic look. He made the girl look like an actual person and showed distinctive features and characteristics that made the girl look real. My favorite is the Barefoot Girl because he made it when he was only 14. The detailing on it is amazing! My least favorite paintings are his cartoon looking one. It isn't really something I like. I like more realistic type of paintings. My favorite was the Barefoot Girl because it is very creative and detailed and yet he was only 14 when he starting painting it. My favorite is the barefoot girl because he was 14 and it shows how much skill and patience. Most people would have probably given up but he stayed with it and did a beautiful job and showed a lot of detail in it. My favorite is barefoot girl because he did it at such a young age. my least favorite is the abstract art because it weird and deformed and looks ugly to me.